You were recently appointed to be the CEO of Domotz after several years at Luxul . Tell us about that move. Yes, I was at Luxul for about 9 years where I worked with some very talented people to build a really special company that is now the CI industry leader in IP networking. With all that history, it wasn’t an easy decision to leave Luxul, but Domotz is an extraordinary opportunity that I simply couldn’t pass up. What is Domotz known for? In the CI industry, Domotz is known for its remote network management platform called Domotz Pro, which gives integration companies and managed service providers a suite of powerful tools for keeping their client’s networks and IoT devices online and trouble free while saving them the costs of sending a technician to the customer site. Domotz Pro has been very well accepted within the industry and is positioned for some explosive growth. What makes Domotz different than other companies in the network management space? There are several areas where Domotz really shines. First off, simplicity of setup. Because we have so many devices catalogued (over 9 billion and growing), the app does much of the integrator’s heavy lifting when it comes to the identification and accessing of a client’s networked devices. Secondly, while very powerful and full-featured, the application is designed to be extremely intuitive and simple to use. Also, key to the Domotz strategy is that it is an open platform that works with virtually any IP-enabled device, rather than being restricted or attached to specific hardware brands. In fact, Domotz can even manage those devices that are traditionally linked to more closed network management platforms. What are you most looking forward to working on at Domotz? Again, I see Domotz as a tremendous opportunity with enormous growth potential. This is a fun and exciting phase in the life of a company and I feel very fortunate to be the guy that gets to help take it to the next level. Will you be opening a new office? Domotz Inc, its remote network management arm, maker of Domotz PRO, the award winning monitoring and tech support system for integration companies, IT professionals and hardware manufacturers. Fing, the world’s #1 network scanner for iOS and Android with over 20 million downloads. 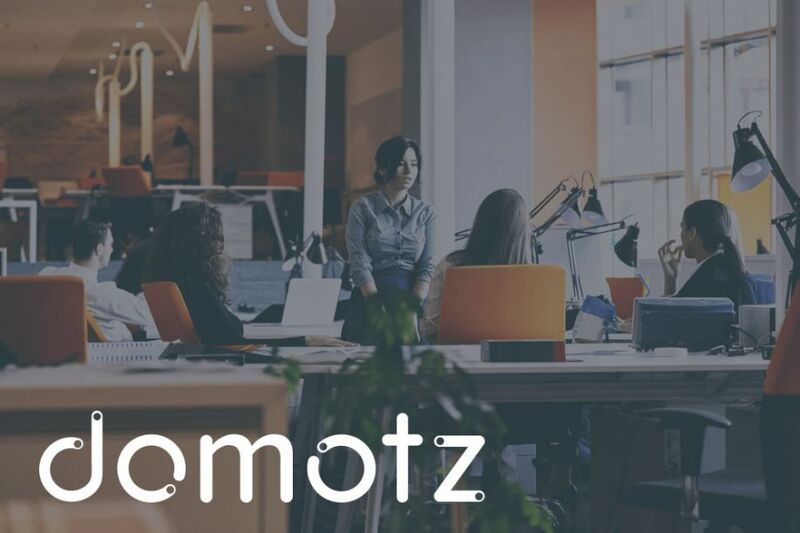 Domotz Insurtech, a technology solution provider for insurance companies in the smart home and the connected office space. The Group’s flagship Domotz PRO solution is powering client care in 90+ countries and is used by leading integration companies such as Magnolia at Best Buy. Domotz PRO recently won the Consumer Technology Association’s TechHome Mark of Excellence for Installation/Technology Management Product of the year in 2017. A rapidly growing player in the smart home space, Domotz has established partnerships with a number of leading hardware manufacturers, service providers, and integration companies.